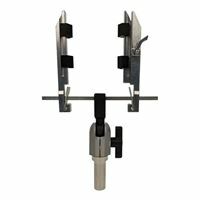 Mini circuit board holder head for your PanaVise 300 Series bases. Perfect for small or mini boards: hold PCBs up to 4.5 inch wide. Great for boards such as arduino and Raspberry superior.